VLC Not Showing Subtitles? Please Help! Subtitles are essential for watching and understanding non-native movies or videos. And most of us are used to having subtitles when watching movies and TV shows, but sometimes we encounter VLC not showing subtitles when playing with VLC media players. In this case, first of all, confirm whether your video file has built-in subtitles or another separate subtitle file, and then follow the corresponding method below. To add subtitles to video without any limitations, a professional and versatile subtitle adding tool is a must. WonderFox HD Video Converter Factory Pro is highly recommended that it can not only enable you to easily add subtitles to any video files, such as add subtitles to MP4, add subtitles to AVI, add subtitles to MKV, etc. but also let you disable subtitles. Download it to have a try! How to Get Subtitles to Work on VLC? If VLC not showing subtitles contained in a video, then it is likely that VLC's subtitle function option is not enabled by default, which can be solved by the following method. Step 1. Open the VLC player, click Tools > Preferences on the menu bar, or directly press the shortcut key Ctrl+P. Step 2. Click on Subtitles/OSD Tab and check the Enable subtitles option. Step 3. 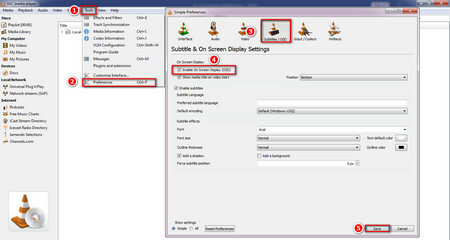 Click Save to save the settings, restart VLC to play the video should be able to solve VLC subtitles not working. If not, go to the next step. Step 4. During the video playback, click Subtitle > Sub Track on the menu bar. If it is the default Disable, then select the built-in subtitle you need. 1. 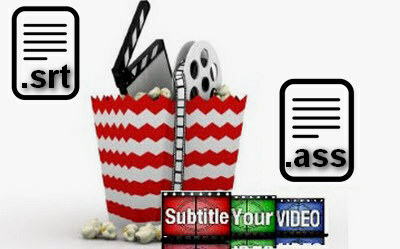 Place the video file and subtitle file in the same folder and keep the names consistent. 2. While playing the video, click Subtitle > Add Subtitle File on the VLC menu bar, select your subtitle file and add subtitles to VLC. I believe you should be able to solve the problem of VLC not showing subtitles through above methods. In addition, there is a permanent solution to add subtitles into the video as part of the video. WonderFox HD Video Converter Factory Pro is not only a fast video converter but also a tool that can successfully add subtitles to videos like add subtitle to MP4, add subtitle to MKV, etc. with a few clicks without changing the original quality. Now, you can give it a try! First of all, free downloadfree download, install and launch WonderFox HD Video Converter Factory Pro on your PC. You can opt to click the "Add Files" button to add the video to the program. Or drag and drop the video to the program. Click the T button and select Add subtitle. Next, find your subtitle file like .srt. Select the subtitles you want to embed and click Open. Now, set the path of the output video with subtitle and finally, click on Run button to start to hardcode subtitle to your video. In this way, you can permanently embed subtitles to the video to easily solve the VLC player subtitles not working problem. I hope this article will work for you to solve the problem of VLC not showing subtitles. If you have a better solution, please feel free to contact us and we will keep the content updated. Finally, you can share this article with more people. With WonderFox DVD Video Converter, you can easily hardcode subtitles into DVD movies with just a few clicks. 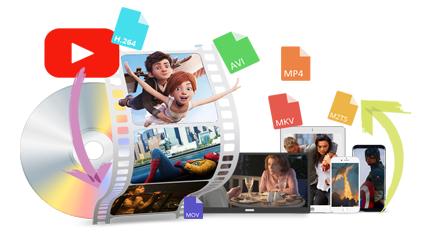 In addition, you can convert DVDs to various video formats like MP4, AVI, MKV, MOV, etc. for playback anytime, anywhere. Download it to have a try!